Draft: 2005, Atlanta Braves, 22nd rd. November 6, 2015 RHP Tommy Hanson elected free agency. July 5, 2015 RHP Tommy Hanson assigned to Sacramento River Cats from San Jose Giants. June 15, 2015 RHP Tommy Hanson assigned to San Jose Giants. May 13, 2015 San Francisco Giants signed free agent RHP Tommy Hanson to a minor league contract. May 13, 2015 RHP Tommy Hanson roster status changed by San Francisco Giants. September 2, 2014 Charlotte Knights activated RHP Tommy Hanson from the 7-day disabled list. June 16, 2014 Charlotte Knights placed RHP Tommy Hanson on the 7-day disabled list retroactive to June 12, 2014. April 19, 2014 RHP Tommy Hanson assigned to Charlotte Knights. April 8, 2014 Chicago White Sox signed free agent RHP Tommy Hanson to a minor league contract. 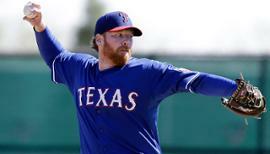 March 26, 2014 Texas Rangers released RHP Tommy Hanson. 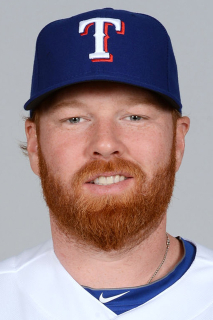 February 14, 2014 Texas Rangers signed free agent RHP Tommy Hanson. December 2, 2013 RHP Tommy Hanson elected free agency. September 16, 2013 Los Angeles Angels recalled RHP Tommy Hanson from Salt Lake Bees. August 13, 2013 Los Angeles Angels optioned Tommy Hanson to Salt Lake Bees. July 23, 2013 Tommy Hanson roster status changed by Los Angeles Angels. July 16, 2013 Los Angeles Angels sent RHP Tommy Hanson on a rehab assignment to Inland Empire 66ers. June 27, 2013 Los Angeles Angels placed RHP Tommy Hanson on the 15-day disabled list retroactive to June 21, 2013. Right forearm tightness. May 28, 2013 Los Angeles Angels activated RHP Tommy Hanson from the restricted list. May 10, 2013 Los Angeles Angels placed RHP Tommy Hanson on the restricted list. April 28, 2013 Los Angeles Angels activated RHP Tommy Hanson from the bereavement list. April 22, 2013 Los Angeles Angels placed RHP Tommy Hanson on the bereavement list. November 30, 2012 Los Angeles Angels traded RHP Jordan Walden to Atlanta Braves for RHP Tommy Hanson. October 7, 2012 Tommy Hanson roster status changed by Atlanta Braves. August 17, 2012 Atlanta Braves activated RHP Tommy Hanson from the 15-day disabled list. August 12, 2012 sent RHP Tommy Hanson on a rehab assignment to Gwinnett Braves. September 30, 2011 Atlanta Braves activated RHP Tommy Hanson from the 15-day disabled list. 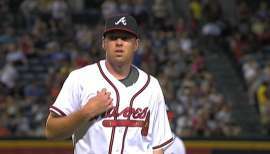 August 14, 2011 Atlanta Braves placed RHP Tommy Hanson on the 15-day disabled list retroactive to August 7, 2011. Right shouder tendinitis. June 28, 2011 Atlanta Braves activated RHP Tommy Hanson from the 15-day disabled list. 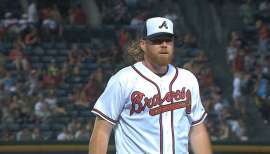 June 17, 2011 Atlanta Braves placed RHP Tommy Hanson on the 15-day disabled list retroactive to June 13, 2011. Right shoulder tendinitis. July 20, 2009 Atlanta Braves recalled RHP Tommy Hanson from Gwinnett Braves. July 18, 2009 RHP Tommy Hanson assigned to Rome Braves from Myrtle Beach Pelicans. July 10, 2009 Atlanta Braves optioned Tommy Hanson to Myrtle Beach Pelicans. June 7, 2009 Atlanta Braves selected the contract of Tommy Hanson from Gwinnett Braves.